Now a days I am spending my free time in rewriting one of my freeware for Flickr users called iTraveller. One of the design goals was the application should be scalable. My major concern was, I cannot freeze my db design before my first release because I am planning to have multiple version with added functionalities, so the db structure may change in the future. If I use conventional db’s then I have to write functionality to add or remove columns. iTraveller is not very data centric application, so managing db change scripts and writing a functionality to apply these changes when user upgrade to new version will be a big pain for me. First I thought of using MongoDB, because I used Mongo db in a Silverlight application. But then finally dropped that idea. I want some thing more lighter than Mongo and NoSql sort of database. I evaluated several db’s but nothing suites what I am looking for. Finally my search ends at db4o. The usage of db4o is very straight forward and very easy to learn, db4o installer comes with a very good documentation to start off with the development. db4o is a light weight Object Oriented database. Using db4o I can persist my entities very easily without any configuration. 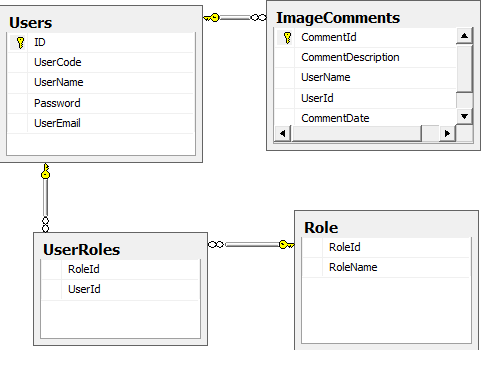 I can add or remove new properties to my entities without affecting the existing persisted entities. I created a generic repository sort of class around db4o, the same way I did one for Entity Framework. This generic repository reduced lot of my work and act as the entry point to persist my entities to db4o data file. Below is the Generic repository I created for db4o. The above repository is created in singletone mode. I did that way because I noticed that opening the database file is taking some delay and wanted to avoid that delay. So I wont close the data file until iTraveller get closed. You can also retrieve data based on any condition as well. The below code will return a list of Photo object whose categoryId is 10. As you can see the db4o is very easy to use light weight database without the hurdles of mapping to tables and all sort of stuffs.